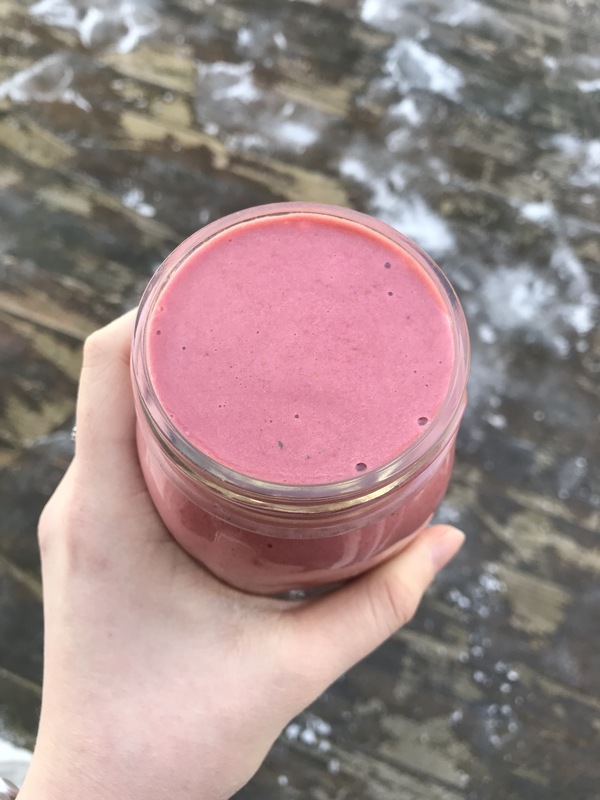 Smoothies are one of my favorite quick breakfasts- they give you a punch of nutrients to start off the day and leave you feeling energized and focused. Not to mention, they take all of 5 minutes to whip up, which is perfect if you’re late often (like I am). With the right combination of ingredients, you can have a perfect mix of flavors, and this raspberry almond one is one of the best. The creamy texture of this smoothie from the greek yogurt, raspberries, and banana is absolutely perfect, and it can easily be made into a smoothie bowl by using all frozen fruit or adding it some frozen cauliflower for thickness (I promise you won’t taste it!) The added almond butter and collagen give this drink a protein boost that will stick with you in the morning, along with the iron-rich spinach. Combine all ingredients in blender and blend until smooth. Enjoy! For awhile now, I have been trying to come up with the best combination of ingredients for a smoothie with avocado. Avocado is the perfect source of healthy fats that keep you going along with energizing vitamins for the day, so naturally it’s the perfect smoothie add-in. However, every time I’ve tried making a smoothie with avocado in it, it turns out warm, too thick, and unflavorful. Luckily, I finally found the perfect recipe- this chocolate shake! After lots of recipe testing, I found that this combination was my favorite by far- it’s the best mix of creamy, rich, and a cold, ice-cream like texture. Not to mention, it’s the perfect way to refuel after a workout, with protein, healthy fats, and a little bit of carbs! The frozen banana sweetens this recipe naturally, but if your banana isn’t very ripe, you may want to add a date or spoonful of pure maple syrup into your smoothie. It also uses frozen avocado, which is important because that gives the smoothie a thick, cold taste that fresh avocado won’t! 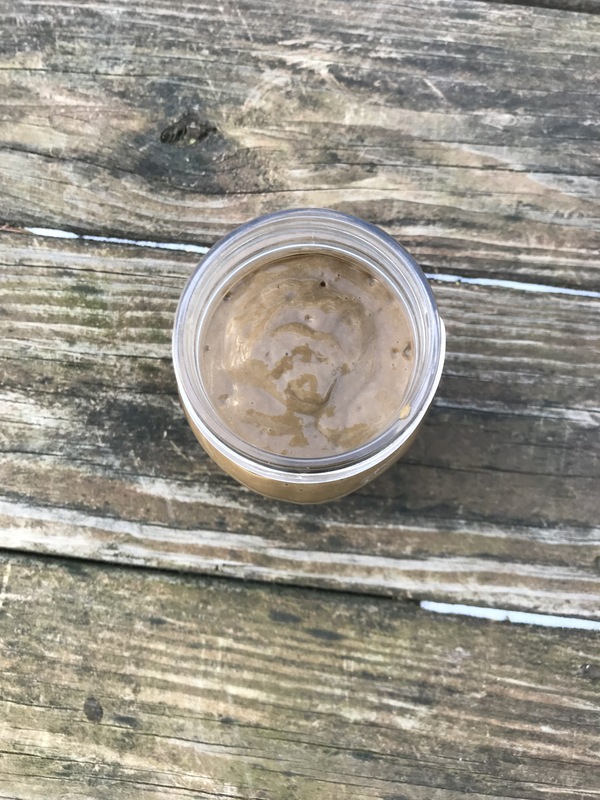 For the protein in this smoothie, I used collagen peptides, which I’ve mentioned loving before, but you can also feel free to use another unflavored protein powder. Right now I’m in the middle of my swim season, so I love refueling after a tough practice or meet with this smoothie. This being said, it would also make a great, filling breakfast on the go. So, enjoy this smoothie and let me know what you think! Add all ingredients to a high speed blender and blend for 1 minute, or until smooth. Add a little maple syrup or ice if necessary. Enjoy!